Genesis Place has day camp options to keep your kids busy when they are off school. 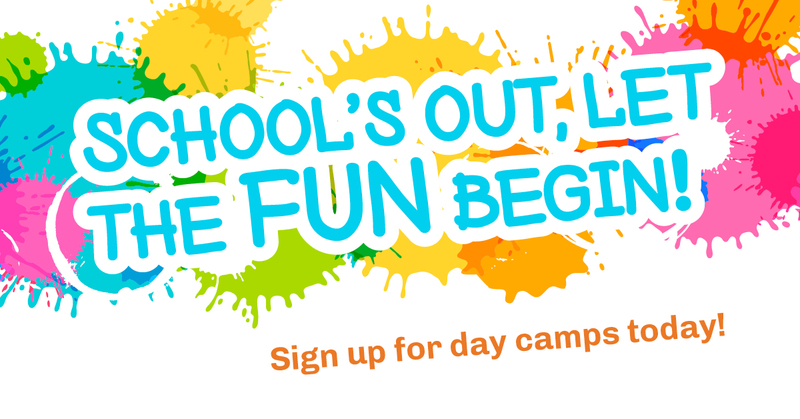 Spring break camps run from April 22 to 26 for kids ages 5 to 12. Book today! In order for us to provide a happy and safe day camp experience, we ask parents to read the information below to ensure all proper preparations are made. Day camp forms must be completed and returned before the first day of camp. Forms can be picked up at Customer Service or click on the link below. Please be sure to label all items and send the following with your child to day camp: indoor shoes, swimsuit and towel when required, healthy snacks, water bottle, healthy lunch (no nut products), weather appropriate clothing. Our day camps promote a positive, active environment. No electronic devices will be allowed by participants into camp, early care, lunch care or late care. Phones and all electronic devices must stay in backpacks until such time as participants are signed out and have left our care. Camps fill quickly so register today by calling Customer Service or use the online registration feature. *Minimum numbers must be met for camps to run. Summer camp registration starts May 5! Genesis Place is excited to offer a full summer of boredom busting summer camps for kids 7 to 12 years old in half and full day options. Click here to view all City of Airdrie 2019 Camps at a Glance and view descriptions below. Here are a few things to know! In order for us to provide a happy and safe day camp experience, please read the information below to ensure that all preparations for fun are made! Summer full day camps swim every day except for our field trip days (typically Wednesdays). Please ensure you send a swimsuit, towel and any other swim related equipment that your child needs. Do not send any money as your child will not be allowed to buy lunches or snacks during the day. This applies to field trips as well. Please do not allow your child to bring toys, Pokemon cards or items from home. We cannot guarantee that they will not be lost or stolen. Our day camps promote a positive, active environment. No electronic devices will be allowed by participants in any aspect of camp. Phones and all other devices must stay in backpacks until such time as participants have been signed out or have left our care. It’s time to celebrate Canada and all things Canadian. Activities will highlight all the things that make Canada and Canadians unique. Focus: multiculturalism, inclusion and geography. Day Camps at Genesis Place are out of this world! Help us check out all things beyond the great blue sky! Focus: Space travel, imagination and neighbours. If it’s treasure and pirates you are looking for, “X” marks the spot. Join us on a fast paced, pirate adventure and race for the treasure. Focus: Exploration, creativity and imagination.